Regaining Accreditation Puts Agency Back on Track | CALEA® | The Commission on Accreditation for Law Enforcement Agencies, Inc. The Clarksville, Tennessee Police Department first achieved CALEA® Law Enforcement Accreditation in 1994. A new chief was appointed from outside the department in 1998 and elected not to pursue reaccreditation. The reason for this is unknown to me, and for that matter is not important; however, hindsight is 20-20 and this decision was definitely the wrong one. A new chief was appointed from within the department in 2002 and chose not to seek accreditation. Also during this time period the department suffered through several federal discrimination lawsuits, department morale was low, and our reputation and respect within the community was at its lowest level in 25 years. Our policy manual was in shambles and it seemed as if new lawsuits were being filed daily. In 2007, I was appointed as Interim Chief, and my first decision was to seek accreditation through the CALEA process. I made the decision to seek accreditation based on the fact that I care deeply about this organization and the men and women that comprise it. At the time, approximately fourteen internal federal lawsuits were pending against the department. One month after taking the position I had the displeasure of sitting through one of those lawsuits, which we lost. I saw firsthand that it was because of weak policies and procedures, which laid the groundwork for inconsistent decisions. This was without a doubt the worse experience of my professional life; however, it did strengthen my resolve and determination to regain our accreditation status. The Clarksville Police Department has seen a remarkable transformation since that day in March 2007. I appointed a dedicated, hardworking accreditation manager, and worked toward educating all department employees as to the purpose and benefits of CALEA Accreditation. 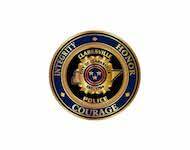 And in August 2010, the Clarksville Police Department again achieved CALEA Law Enforcement Accreditation. This was an extremely proud day for me personally because I know what it meant for this department. We were awarded reaccreditation in August 2013. While in route to the CALEA Conference in Columbus, Ohio, we received word that our final pending federal law suit had been dismissed. It marked the first time in over a decade that the department was not the subject of a lawsuit. Since the day I walked out of that courthouse in March 2007, the department has not lost a lawsuit. Some chiefs and administrators may talk about the pros and cons of accreditation; however, I see nothing but pros. In discussion with my accreditation manager I often tell him that we should be a case study for CALEA since all one has to do is look at our history to see that accreditation works. The turmoil that this department went through between 1998, when we dropped out of the process, until 2007, when we re-entered the process, is undeniable. We have seen an incredible amount of support from the community, which has resulted in unprecedented benefits to the department such as increased pay and benefits, better retirement, and technology and equipment additions that many never believed we would see. I am proud of what we have accomplished, but I do not take our accreditation for granted. Both of our award certificates are proudly displayed at headquarters, and I plan to put a third one right beside them. An organization is an engine and this engine needed a complete overhaul and that is what CALEA Accreditation has accomplished for us. It is my goal to achieve a third accreditation award in 2016, and as long as I am Chief of Police, we will never drop the program. The best advice I can give to the next chief is to do the same.